It’s been a while since I got my hands-on Zenfone 5z, and man I see the world a little faster now. The power of this flagship in your hands can change the way you use your smartphone, and the best part is you can get it for a price tag of just Rs. 29,999. I have to say that this a rebirth for Asus in terms of marketing strategy as well as market share, as it’s already proved to be working positively for the Taiwanese brand. Firstly, they came with Zenfone Max Pro M1 for an aggressive pricing that made it be a big competitor for other budget-end smartphones and now with the Zenfone 5z, the brand is touted to disrupt the flagship market. When the Zenfone 5z was announced, I was in an impression that it’d be priced in between Rs. 32-35K as to keep a tight competition with OnePlus 6 and Honor 10, but to my surprise, they went even further and launched the 5z for a starting price of Rs. 29,999. This pricing changed everything, but one thing that bothered me is they’ve not launched the mid-end Zenfone 5 in India. 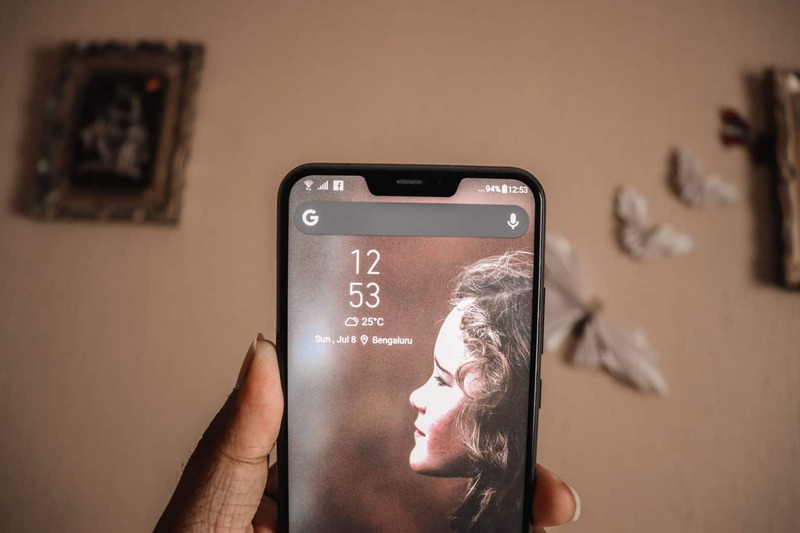 In their opinion, they didn’t want to launch a smartphone that is using the same chipset as in their existing smartphone, but it’s not the same for the users’. Anyhow, you might be thinking why the low price, and would it really give a strong competition to the so-called Flagship killers? To make things clear, let’s check out the key specifications of Zenfone 5z. 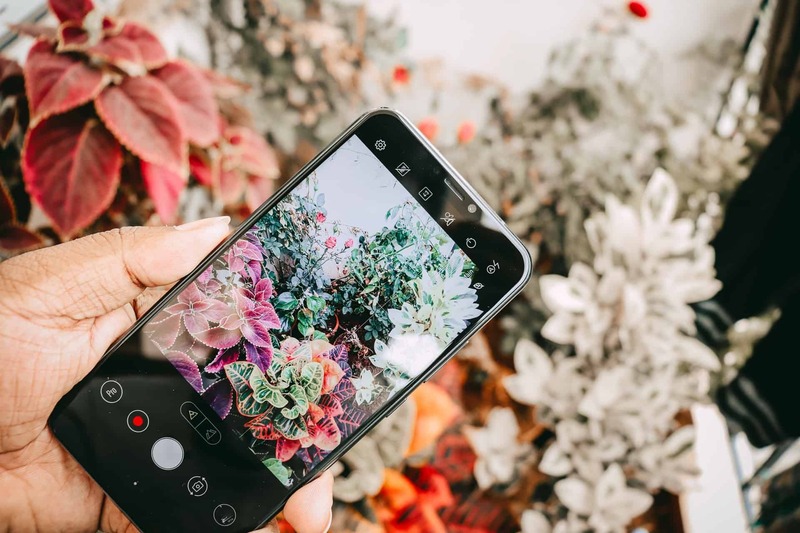 Isn’t the phone has same specifications as in the competitors’, but a few things that make a difference is how the phone performs in heavy usage, the battery life, the quality in camera samples, etc. So, without any delay, let’s head on my Zenfone 5z review. Zenfone 5z Review – True AI Phone? As usual, I want to begin my Zenfone 5z review from design and moving on to the performance, battery life, etc. When the iPhone X launched, every major brand trolled the notch but eventually incorporated it in their smartphones, and the first among them was Asus, but in a different way. 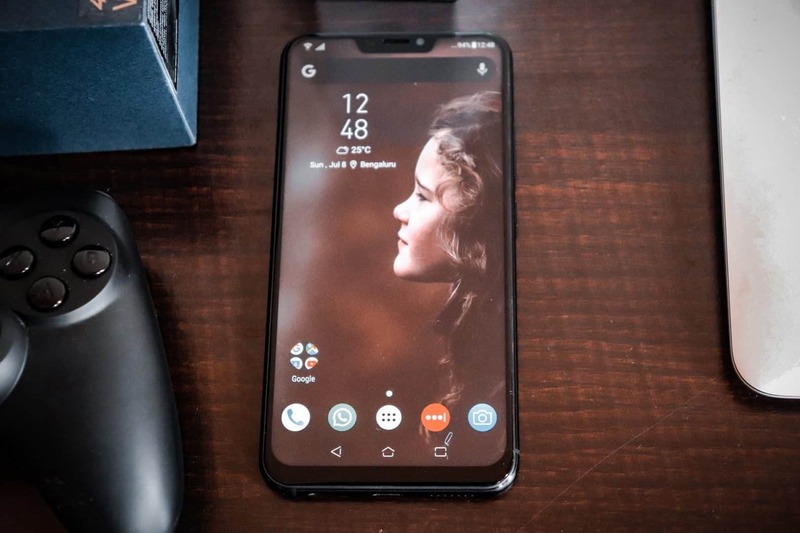 In order to give users a full-view experience, Asus did take the inspiration from iPhone X but made the notch relatively smaller. Later, several OEMs followed it, and now, the majority of the flagships are notch-phones. When we compare all the notch-phones, Zenfone 5z stands-alone, as it’s the only phone with gestures on the notch. I was very surprised on why the rest of the brands have not implemented it in their notch-phones. It’s very simple and quite useful. Anyway, let’s get on to the design aspect of Zenfone 5z. When I got my hands-on Zenfone 5z, it reminded me of Zenfone 3, as both have glass-finish on the rear side, and are quite reflective. I can clearly see the signature mark of Asus on the rear side, and yes, there’s a reason for comparing it with Zenfone 3 as it’s a 5.5′ device, whereas 5z is of 6.2′ device within a 5.5′ chassis. Meaning, it’s the same size as Zenfone 3, but with a bigger display and narrow bezels. The vertical placement of dual cameras are indeed yet another inspiration from iPhone X and it has its own advantages. There’s a fingerprint sensor at the right position on the rear side, where our index finger usually reaches. 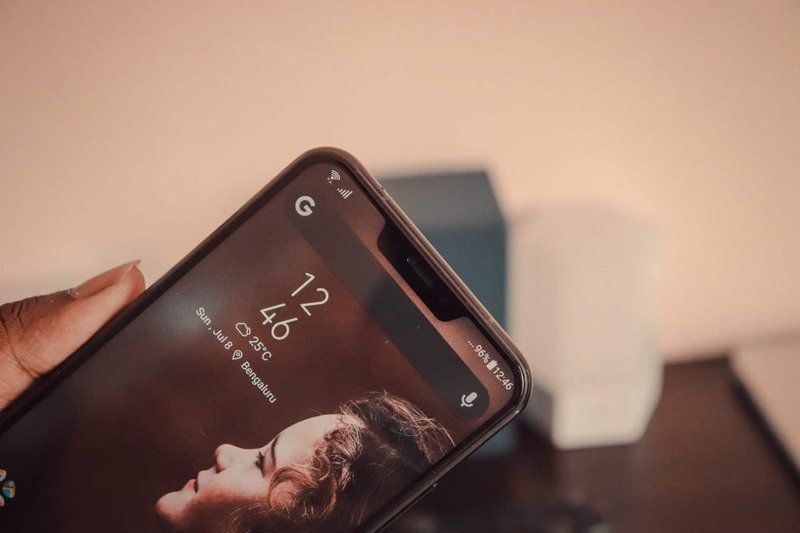 On the front side, there’s a notch at the top which holds an 8MP front-facing camera, speaker, and ambient light sensor. On to the right of the device, you can find the volume rocker along with the power-ON/OFF key. On the other side, there’s a mic along with the hybrid SIM slot. At the bottom of the device, there’s a USB Type-C port in the middle and to its left, there’s a mic and a speaker grill. 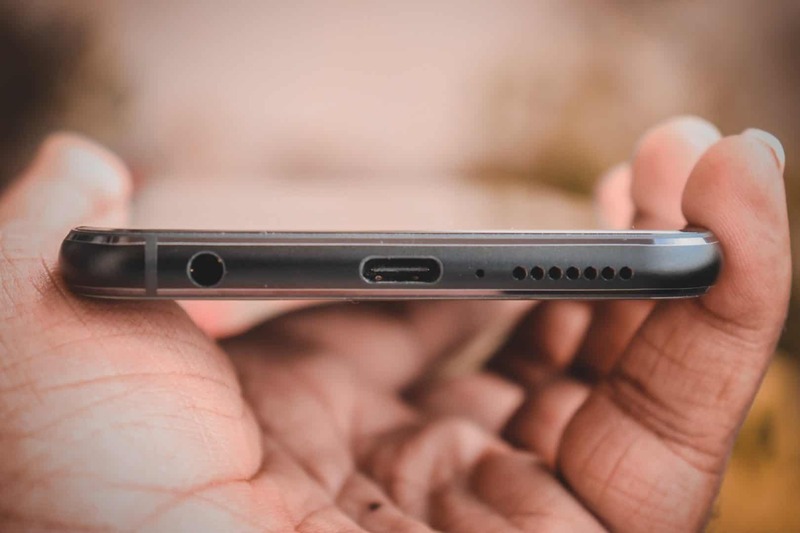 On to its right, there’s a 3.5mm headphone jack <3 yes! It’s 2018, and the Zenfone 5z has a headphone jack. Also, the phone is bundled with high-res earphones. At the top, there’s one more mic which makes the device to have 3 noise-canceling mics to record the audio flawlessly. In my hands, I felt the device is sturdy and very compact. It’s a metal-made phone, so I had the same impression of holding several other flagships. One thing that’s bothering me is the glass finish on the rear side. I had a bitter experience with the Zenfone 3 as I dropped it once from a considerable height, so I’m thinking 5z is not an exception here. Out of the box, Asus provided a clear bumper case, but there’s no way it can safeguard the glass on the rear side. However, the front display has a gorilla glass, so it can withstand drops from certain heights. Overall, I’d suggest using a hard case. Also, the phone’s a fingerprint magnet 🙁 I had to clean the rear side with a clean cloth every now and then to remove the accumulated dust particles. 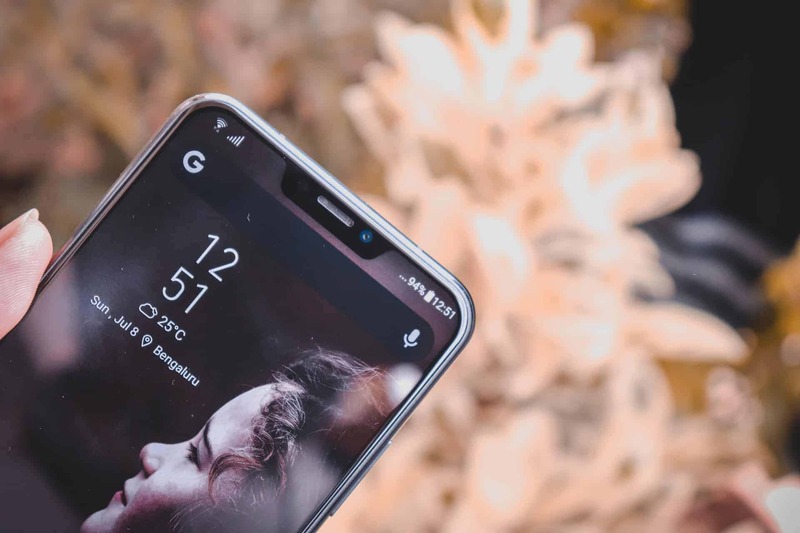 Display of Zenfone 5z – 550NITS! One major aspect of 5z that attracted me is its super bright display. Though it is super LCD display, it does comes with a super brightness of 550nits. Unless you feel it yourself, it’s hard to explain the experience. In one line I can say, this is the brightest display I’ve ever seen in a flagship. You might be thinking wouldn’t it hurt our eyes? Well, it doesn’t as the display has auto color temperature as well as the blue light filter to protect eyes. As the Zenfone 5z is a notch phone, it offers 19:9 aspect ratio, and gives a true fullview experience of 18:9. The phones come with a shortcut in the navigation menu itself to make apps compatible of the fullview. I’d say, It’s a handy feature, as in other phones we’ve to make the application fullview from the settings. Performance of Zenfone 5z – Flagship Killer? In my hands-on, I did explain my opinion and shared a few highlights, but haven’t mentioned anything else. So, here I’m going to describe how well the Zenfone 5z performs. Firstly, I want to start with the user experience as that what makes the smartphone unique. 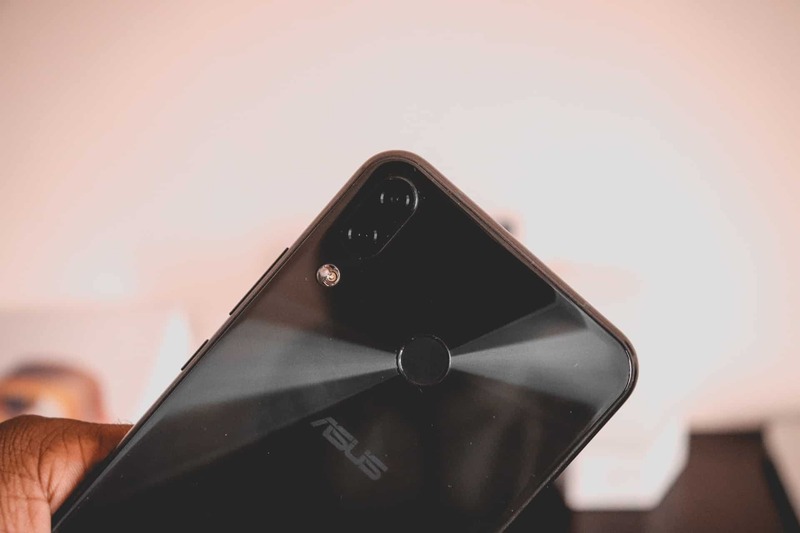 Bloatware: It’s true that Asus is known for too much bloatware in their smartphones, and I feel Zenfone 5z is no exception. In my hands-on, I did say as most of them were quite useful, and I still abide by it. But it’s just that we might not need too many applications pre-installed and should have the capability to disable when setting up the phone for the first time. In the pre-installed applications, I liked using Mobile Manager as it’s the CCleaner for me. Rest of the applications weren’t quite useful to me, so I’ve disabled most of them. ZeniMoji: This is yet another inspiration from iPhone X, but definitely not even close to it. Personally, I liked the animations, but there’s a great delay in the response. It takes some milliseconds to respond, and that I feel a big drawback. Asus needs to improve a lot of things in it. ZenUI 5.0: Asus took a lot of time to integrate the AI features on to its UI, and I have to say it’s one of the best UI in Zenfone series smartphones. As said, there were some bloatware and excluding that, the UI perfectly compliments the UX. Inside the settings, you can either disable or enable the AI features. Let me explain you each one, so you have a better understanding of what to disable/enable. OptiFlex: One of the coolest feature I’ve ever seen in an AI phone. After enabling it, it makes apps load faster. In simpler terms, it identifies which applications you are using the most, and speeds it up, and loads faster. Enabling this makes a lot of difference in app load time. I personally recommend every Zenfone 5z’s user to enable it. However, there’s a rumor saying this feature drains the battery, but it’s not. I’ve tested multiple times, enabling and disabling it, and I’ve not seen any battery drain. Suggested APPs: I’d not say this an AI feature as most of the launchers have this feature of showing the suggested apps based on your usage. In my case, it prompts me with the regular apps based on my usage behavior. Smart Screen ON: The name says it all, but I couldn’t make use of it. Enabling this feature wouldn’t let display goes off unless you look away from the display. Though it’s very useful when reading articles online, I kind of increase the display timeout to 30 seconds and it fixed it. AI Ringtone: Yet another interesting feature which detects the environment and keeps the ringtone volume based on it. To be honest, I’ve found OptiFlex quite useful, and the rest are just some small features. So, I’ve disabled everything else. I’m not saying disabling these features have an impact on the battery but it’s just that my usage patterns are different, and so the behavior. I’m not a big fan of PUBG but had to play it as it’s one of the high-end game available today. When I opened it, the game auto-selected the high-end settings as it detected the flagship – Perks of owning a flagship device. I don’t have to explain a lot about this RPG as you’d have played or seen someone playing it. But the difference you can find is in the graphics, the response rate, and the refresh rate. Well, the 5z gives an amazing experience as the SoC and GPU are best known for giving a great performance. I’ve not faced any delay when my character was moving, and the response rate is quite fast. However, I faced the heating issue after some minutes of playing the game, and the reason behind it could be the high settings. Instead of going down to low, I enabled the AI boost feature which fixed the heating issue. 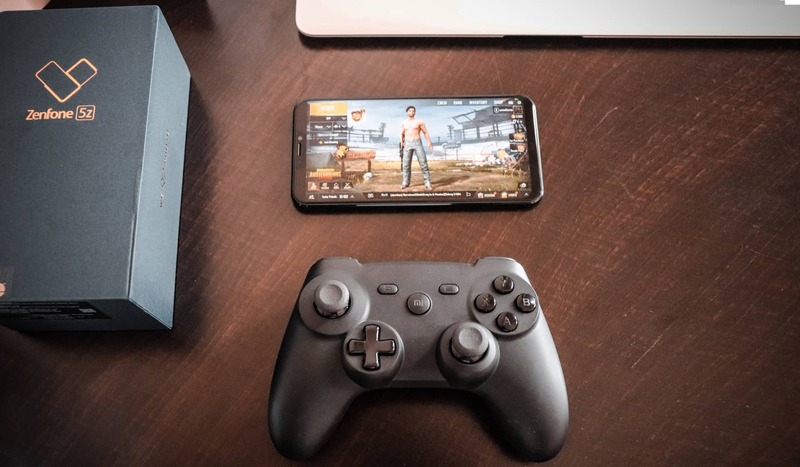 Overall, I played the PUBG for some 4 hours, and the battery was dropped by 14%. That’s actually a lot lower compared to other flagships in which I played the game with the same settings. Also, the best part here is 5z wasn’t warm after enabling the AI boost which is absent in other flagships. So, I’d say this is an asset in the Zenfone 5z. As the sale has already started last week itself, the biggest concern I’m hearing from users’ is the heating issue and battery drain. I don’t know why people are ranting about as I’ve not faced any such. As mentioned above, I felt the device warmer when gaming, but it can be fixed by enabling the AI boost. I have not faced any battery drain issue, and here are the battery life stats. The Zenfone 5z comes with a battery capacity of 3,300mAh and supports QuickCharge 3.0. In order to test the battery life cycles, wear, and the charging time, I used the AccuBattery application. The Zenfone 5z comes with every security feature you normally see in a flagship phone. It has the fastest fingerprint recognition I’ve ever seen. It’s fast AF! Even the face unlock is quite fast, but it fails to recognize when I wear some helmet or have something covering my head or a little portion of my face. Also, the face unlock does not recognize when in low light. However, the face unlock do comes handy when it’s coupled to work as a privacy feature. When it’s enabled, the notifications on the lock screen can only be viewed by you, and only you and not for others. 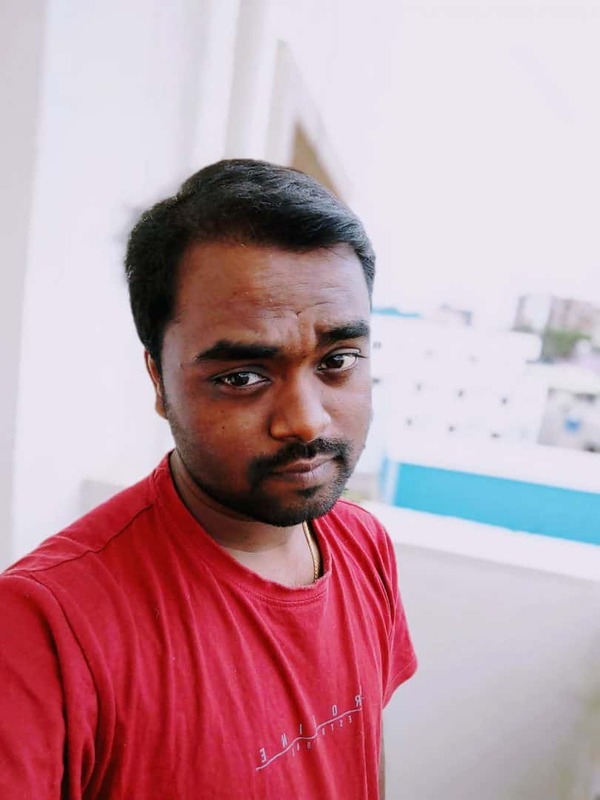 Zenfone 5z Camera – Brilliant! The best part about owning flagships is their brilliant cameras. I personally use Pixel 2 XL which is still the best camera phone out there. I can put Zenfone 5z’s camera next to it as the outputs are as par as OnePlus 6 and Pixel 2 XL. The biggest asset in the Zenfone 5z’s camera is the AI scene recognition. Unlike other AI camera phones, the Zenfone 5z’s AI perfectly optimizes the camera settings. The HDR+ is brilliant and gave another definition of detail. As you know that the Zenfone 5z is a dual camera phone on the rear side, but the second camera is not a depth sensing or monochrome but a wide angle one. This is yet another advantage when compared to the competitors. It’s evident that the bokéh effect is more from software processing rather than the depth-sensing camera itself. So, giving a wide-angle camera allows us to take the shots a little wider. The other best thing about the rear camera is low-light photography. As of the large pixel size of 1.4 micrometers, more light is allowed to the sensor that makes the output captured with more details even in low-light. I’ve not seen any noise in the processed image, and yes, the colors are perfect. Even in normal mode, there’s no over-saturation, thanks toe RGB color correction sensor. The shutter speed & AutoFocus are fast AF and captures the moving object perfectly. The portrait mode supports real-time bokéh that allows adjusting the aperture. Though it comes quite handy, I somehow felt Asus should allow adjusting the same even after processing i.e., in the gallery. Nevertheless, the edge detection, background blur and foreground focus is perfect. I can’t say the outcomes are the perfect portraits, but they are relatively most perfect compared to several other smartphones. The front-facing camera is also brilliant in terms of its own way. It also supports the portrait mode even though there’s no depth-sensing camera on the front side. The colors produced are quite true, and its great to see even the front camera is able to capture the tiny details of the hairline, mustache, etc. The video recording is seemingly pretty easy as the rear cameras have both OSI & EIS. However, there’s one problem and that’s with the wide-angle. There’s no way you can switch to that during video recording and I feel it’s kind of drawback. Other than that, the video recording is quite up to the mark. Even the sound recording is quite real – thanks to the 3 noise-canceling mics. You can check the full camera samples of Zenfone 5z here. What can I say, Asus made Zenfone 5z be the almost perfect flagship. If you have always wanted to own a flagship and not like buying a second-hand one but within a budget of Rs. 30,000 then I strongly recommend you to buy Zenfone 5z. What can I say, Asus made Zenfone 5z be the almost perfect flagship. If you have always wanted to own flagship and not like buying a second-hand one but within a budget of Rs. 30,000 then I strongly recommend you to buy Zenfone 5z. Previous articleWhy Zenfone 5 could be a BIG HIT compared to Zenfone 5z?